1. I decided to finally try this finger crochet thing. If you haven’t heard of it, don’t feel too behind – it’s been floating around on the internet only for a little while. 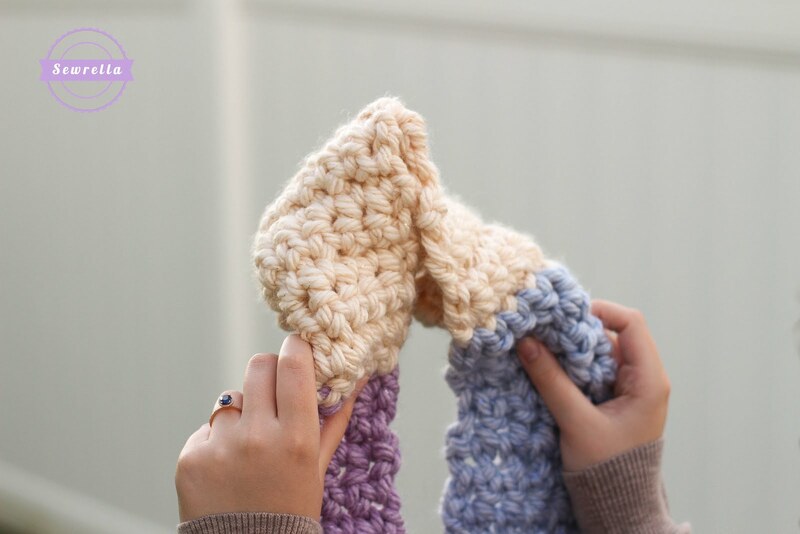 I’d seen lots of chunky, cuddly, squishy things made with this technique and I waited long enough – the time is now! 2. I realized I had a pile of chunky beautiful yarn scraps hanging around from when I made THESE granny squares for the Craft Yarn Council. 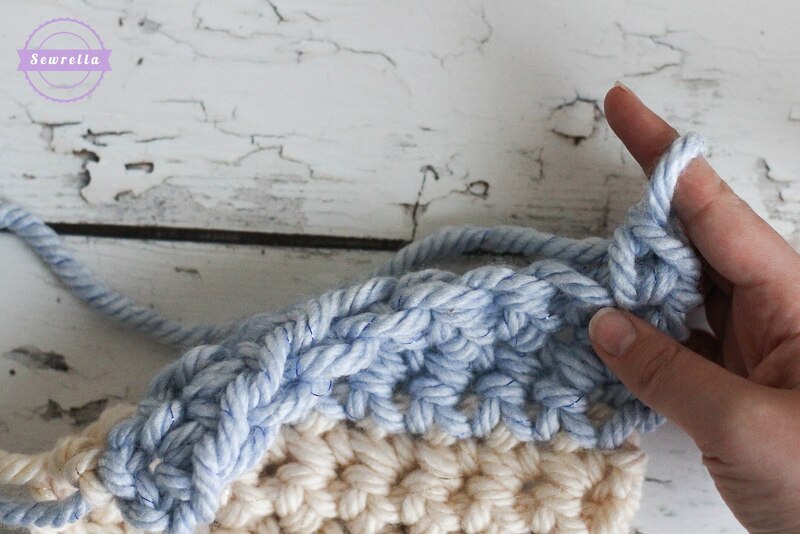 So what do we do with a big ole pile of beautiful yarn scraps? 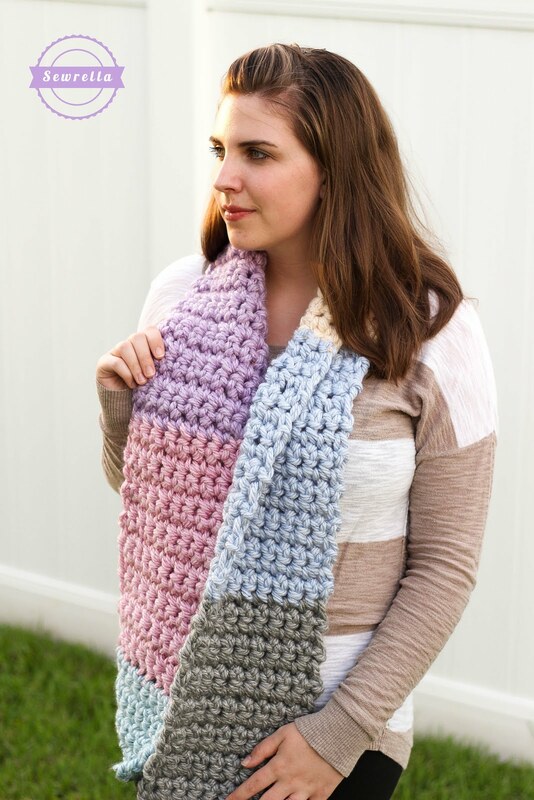 Make a scrappy scarf of course! So I gathered my pile of pastel Red Heart Grande Metallic yarn and tried out this finger crochet thing. 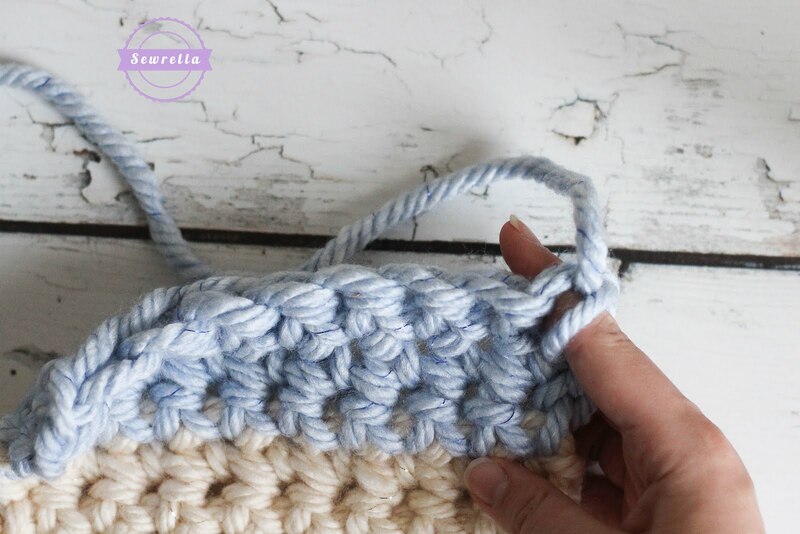 If you’re new to the finger crochet game – fret not! I have a whole slew of photos below to help you out. This pattern is the easiest I’ve ever written I think. No hook. 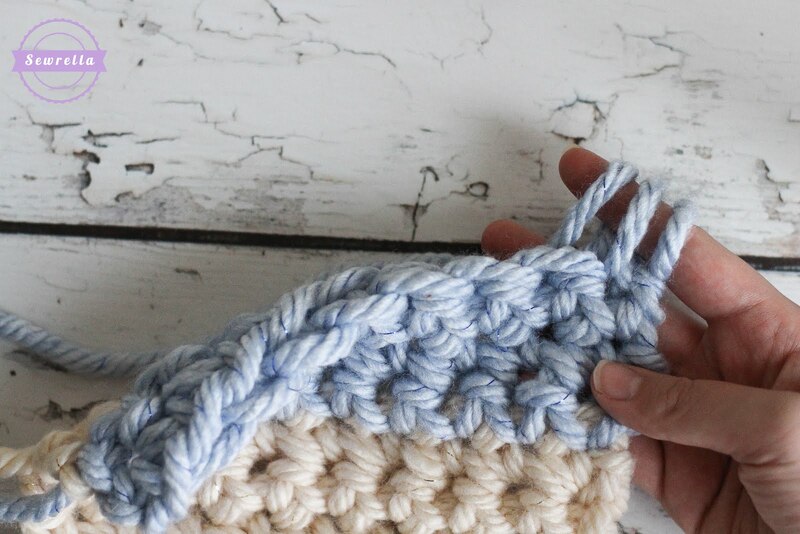 Repeat the same row over and over until desired length. No nonsense here. 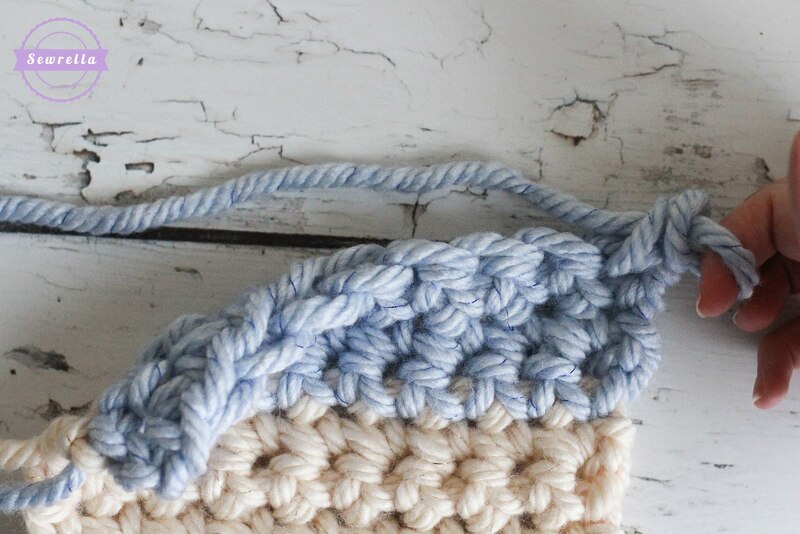 Just straight up crochetin’. 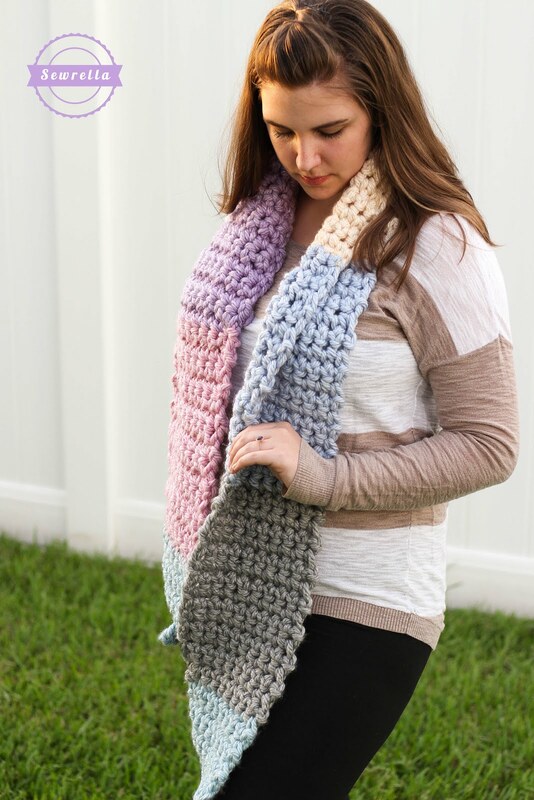 Try out this fun style – I know this chunky scarf will be your best friend this fall! 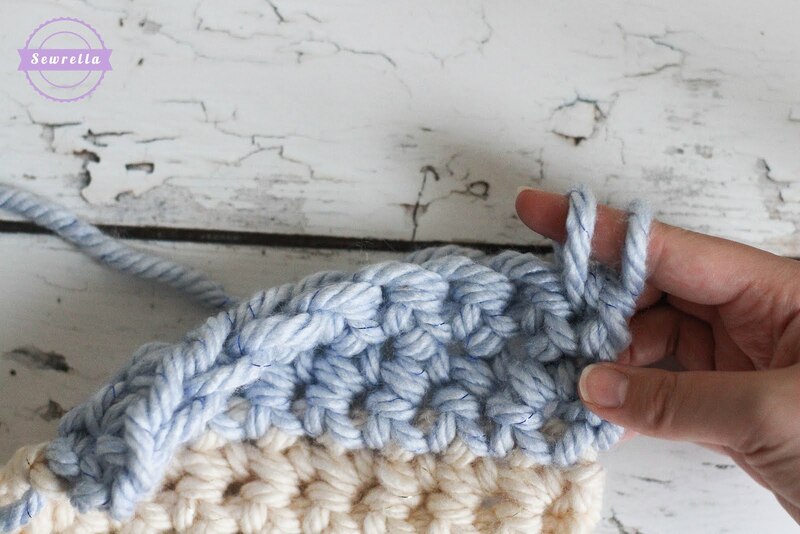 *Note: See photos below for finger crochet technique! 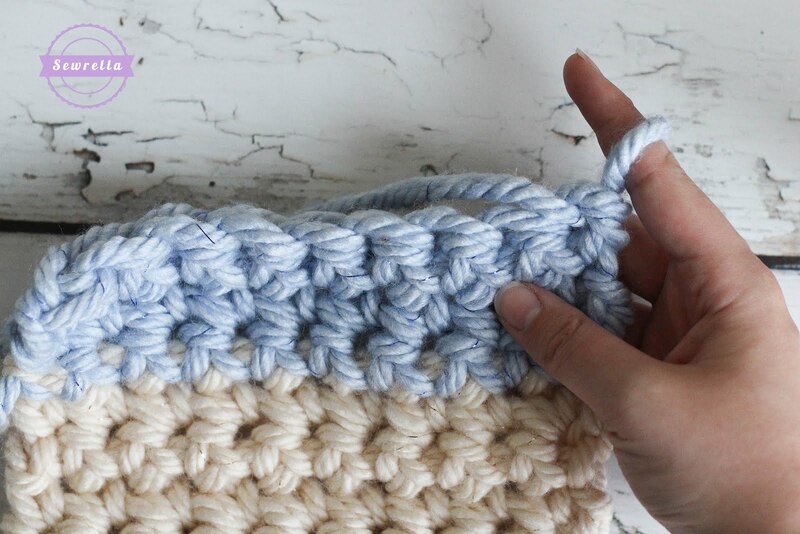 Simply treat your finger as the crochet hook! You’re ready for the next stitch! Just keep going with this and you’re golden! 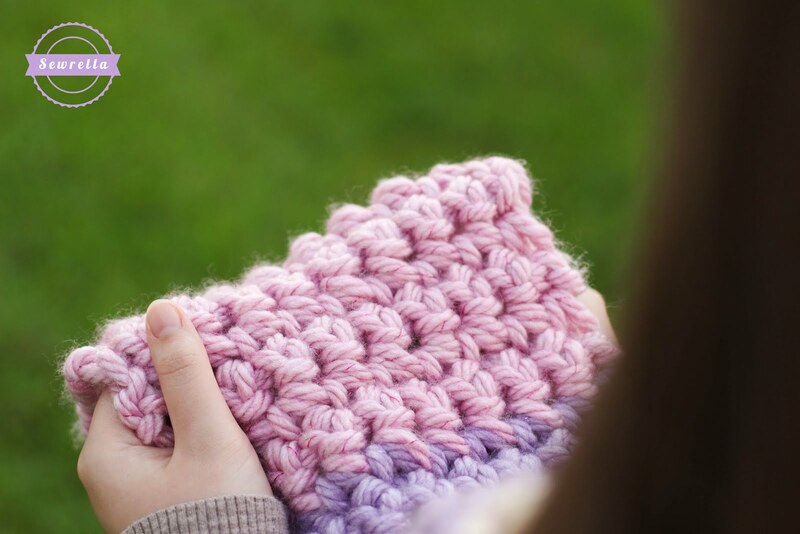 Hope you have fun with this new kind of crochet!